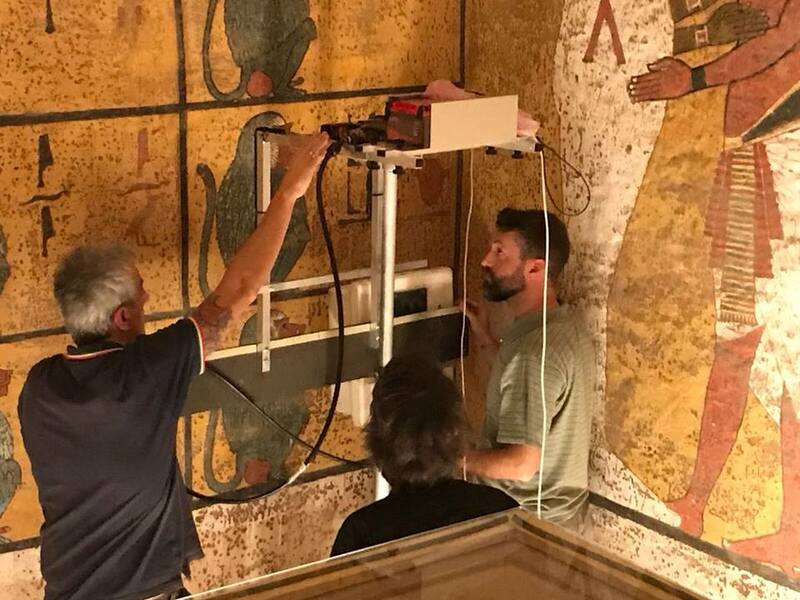 Ground-penetrating radar scans have failed to confirm any hints that King Tutankhamun’s tomb in Egypt’s Valley of the KIngs contains a hidden chamber. The announcement from Egypt’s Ministry of Antiquities brought a disappointing end to a scientific investigation that began more than two years ago, after British archaeologist Nicholas Reeves put forth the claim. This entry was posted in GeekWire and tagged Archaeology, Egypt, Science, Tutankhamun. Bookmark the permalink.